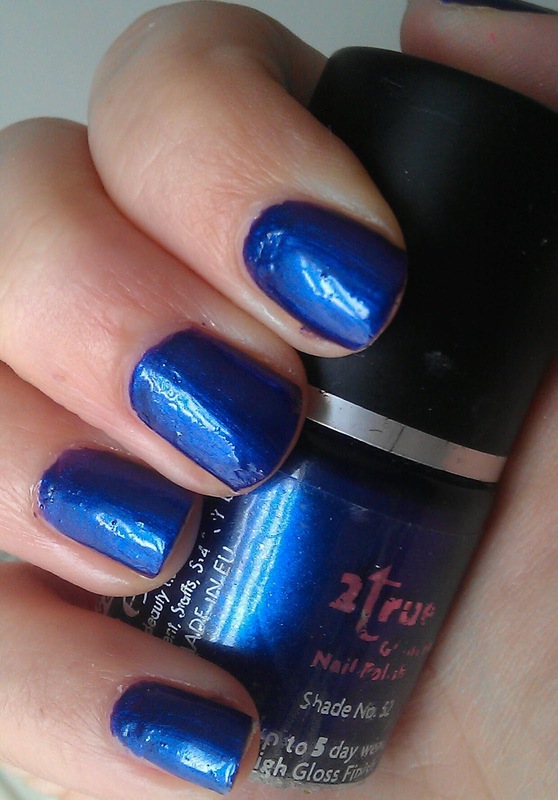 Today's nail of the day is by 2true cosmetics. If you have never heard of them they are a great budget friendly brand sold in Superdrug and they do a whole range of products for under £2! You can purchase from here. Today's shade is 52 which is a dark purple / blue and since I love purple and usually don't wear anything to dark then this shade is perfect for me. Is has a lovely metallic shimmer to it and depending on what light you are in, it will change between a few different shades. This colour is no longer stocked on superdrugs website but be sure to check in store for it and all other shade ranges! 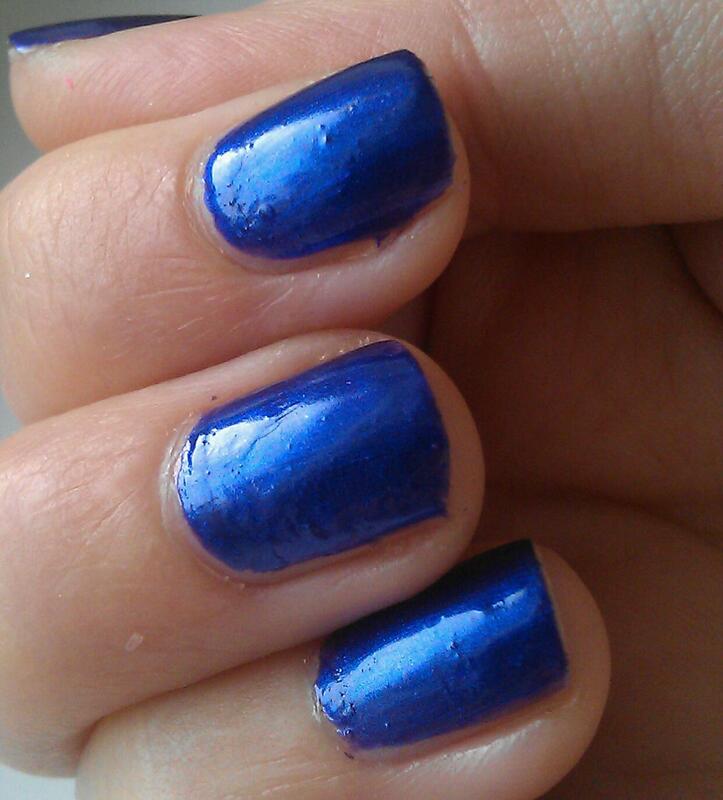 This polish is great, colour is so deep and rich, camera shows it up as more blue but in real life its more purple, gorgeous colour. 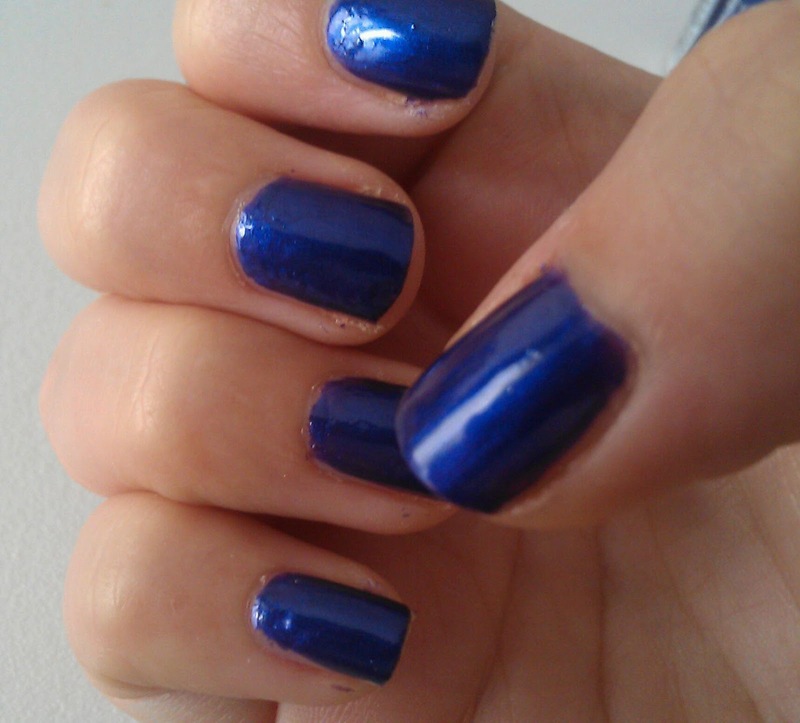 This is the darkest nail colour I own! Don't really do dark colours much prefer light bright colours all year round.